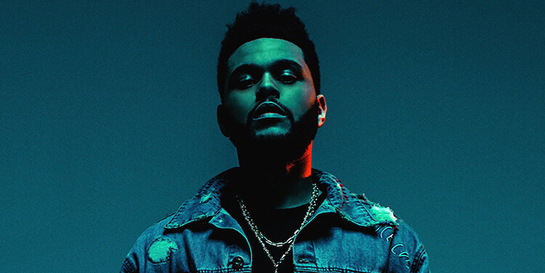 After releasing one of the most anticipated albums of the year in Starboy, the team at Island continue to celebrate this week as The Weeknd breaks the Spotify record for notching up the most streams in a single day. The Weeknd is now the most streamed artist in the world, with 36.6m monthly listeners which has knocked Drake off the top spot. Starboy reached number one worldwide on almost every music platform, and accounted for a third of Spotify’s global chart as 18 tracks from the album took up positions in the Top 50. Starboy was number one, with I Feel It Coming and Party Monster both making the top 5. The record has become the most streamed album since Justin Bieber’s Purpose, generating over 450m streams and widespread media coverage for the feat. Island’s marketing team are now focusing on getting the album as much coverage as possible. Projected images of the Starboy album cover have hit over 20 London sites including the Millennium Bridge, Grand Lodge, Tower Bridge, Brick Lane, Peckham, Shoreditch and Marble Arch. Buses, taxis and underground stations in central London were also branded with the images on Black Friday weekend, the busiest shopping days of the year. Last weekend, an album launch party was held for fans in Toronto, where The Weeknd attended to listen to the album in full with his fans. This was followed by pop-up stores in Toronto, Tokyo, Melbourne and Berlin. He has also recently been in Paris where he performed at the Victoria Secret fashion show for a second year. The Weeknd starts his 46-dates world tour in Europe next year, where he will be performing two dates at the London O2 on March 7 and 8.